Size a snowboard by standing it up next to you. 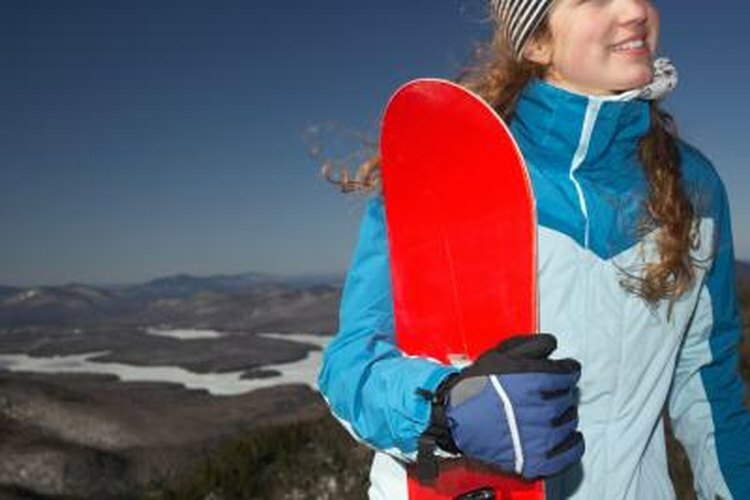 The right size snowboard can give you more stability, control and velocity as you thrash down the mountainside. It'll also keep you safer. But measuring the board is only half the battle. You need to choose a size that suits your body, ability and style as a snowboarder. Measure the board from tip to tip using a tape measure, reading the centimeter side of the tape. But you can size a snowboard without a tape measure by standing it up next to you. A board that stands up to your chin will give you a good amount of control, stability and speed. But you can go bigger or smaller for more specialized riding. Smaller boards give you more control, allowing you to maneuver on a half-pipe. Longer boards provide stability, letting you crank up the velocity during longer runs. Choose a board between collar bone height and eye level depending on your style of riding. Board shops will also have a sizing chart, matching you to a board using your height and weight.